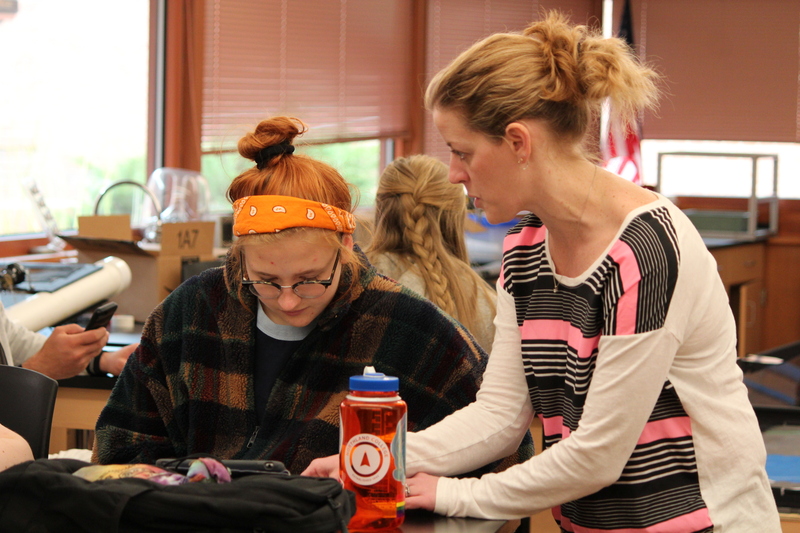 This week we highlight the people who make Prairie so special –– our teachers. Quite literally, Schafer’s family is here. The Upper School Science teacher only has to trek a short distance down the hall to find her husband, Nich, who teaches Primary School Physical Education. The couple’s two young daughters, Ayela ’29 and Addy ’31, attend Prairie, too. But in her classroom, Mrs. Schafer’s definition of kin extends beyond her immediate relations. Over her 17 years on campus, Schafer has worn a number of hats that broaden her network across campus. She worked as the House Manager for theatre for a number of years, and kept book for the Boys’ Basketball team before that. She still keeps in touch with students she supervised on class trips to the Grand Canyon. Schafer’s held one of her most favorite positions, as US Service Club adviser, since 2006. Through events including a silent auction fundraiser to benefit the Leukemia & Lymphoma Society, and the annual Holiday Party hosted for area adults with cognitive disabilities, students learn empathy and compassion. Schafer says the club helps students expand their worldview — and has much the same effect on her. "There's an importance in education here, and that makes for great connections. I don't know if that would be the case in another school." Teaching wasn’t always the plan for Mrs. Schafer. She loved whales as a child, and seriously considered marine biology as a career path; she trained in Biology and Chemistry during college with sights set on working in pediatrics, but later shifted gears to pursue her Master’s in Curriculum and Instruction from the University of Wisconsin-Milwaukee. She says she couldn’t be happier to have ultimately landed in the teaching profession, specifically at Prairie. And she hopes she can pass some of the knowledge she’s gained down to her students. “We as advisers have the ability to talk to our students about their future, and one thing I often say is, ‘You have so much work time ahead of you, do something that you’re not going to dread getting up for every single day,'” she shares. Each day during National Teacher Appreciation Week (May 7th-11th) we will be telling the stories of our teachers, coaches, advisors, and faculty members. 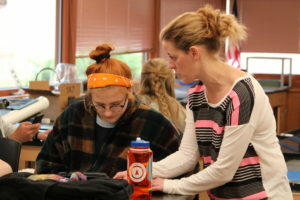 You can help Prairie’s teachers continue to progress by making a gift in support of Faculty Development at The Prairie School. This entry was posted by Rachel Morello. Bookmark the permalink.